4.12 Oliver Wendell Holmes Jr.
Aristotle (Athens, 384–322 BC) is revered among political theorists for his seminal work Politics. He made invaluable contributions to liberal theory through his observations on different forms of government and the nature of man. He begins with the idea that the best government provides an active and "happy" life for its people. 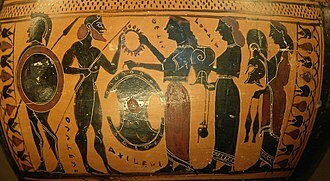 Aristotle then considers six forms of government: Monarchy, Aristocracy, and Polity on one side as 'good' forms of government, and Tyranny, Oligarchy, and Democracy as 'bad' forms. Considering each in turn, Aristotle rejects Monarchy as infantilizing of citizens, Oligarchy as too profit-motivated, Tyranny as against the will of the people, Democracy as serving only to the poor, and Aristocracy (known today as Meritocracy) as ideal but ultimately impossible. Aristotle finally concludes that a polity—a combination between democracy and oligarchy, where most can vote but must choose among the rich and virtuous for governors—is the best compromise between idealism and realism. In addition, Aristotle was a firm supporter of private property. He refuted Plato's argument for a collectivist society in which family and property are held in common: Aristotle makes the argument that when one's own son or land is rightfully one's own, one puts much more effort into cultivating that item, to the ultimate betterment of society. 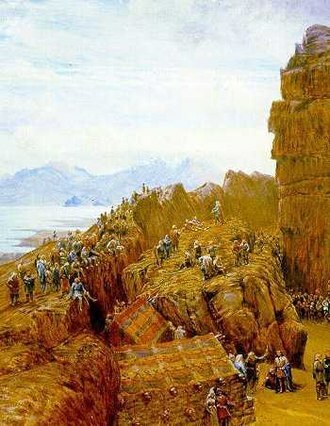 He references barbarian tribes of his time in which property was held in common, and the laziest of the bunch would always take away large amounts of food grown by the most diligent. 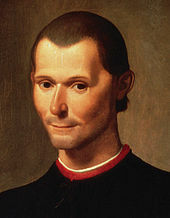 Niccolò Machiavelli (Florence, 1469–1527), best known for his Il Principe was the founder of realist political philosophy, advocated republican government, citizen armies, protection of personal property, and restraint of government expenditure as being necessary to the liberties of a republic. He wrote extensively on the need for individual initiative—virtu—as an essential characteristic of stable government. He argued that liberty was the central good which government should protect, and that "good people" would make good laws, whereas people who had lost their virtue could maintain their liberties only with difficulty. His Discourses on Livy outlined realism as the central idea of political study and favored "Republics" over "Principalities". Machiavelli differed from true liberal thinking however, in that he still noted the benefits of authoritarian (even tyrannical) governance. 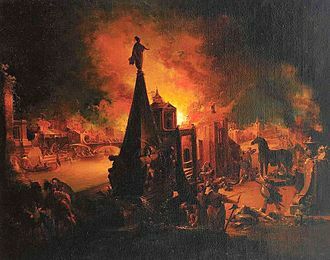 He states that republican leaders need to "act alone" if they want to reform a republic, and offers the example of Romulus, who killed his brother and co-ruler to found a great city. 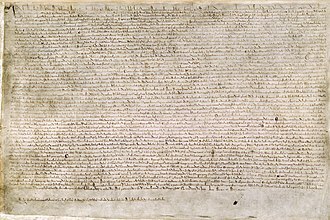 Republics need to refer to arbitrary and violent measures if it is necessary to maintain the structure of the government, as Machiavelli says that they have to ignore thoughts of justice and fairness. Anti-statist liberals consider Machiavelli's distrust as his main message, noting his call for a strong state under a strong leader, who should use any means to establish his position, whereas liberalism is an ideology of individual freedom and voluntary choices. 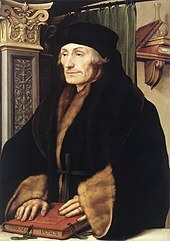 Desiderius Erasmus (Netherlands, 1466–1536) was an advocate of humanism, critic of entrenched interests, irrationality and superstition. Erasmusian societies formed across Europe, to some extent in response to the turbulence of the Reformation. In his De libero arbitrio diatribe sive collatio (1524), he analyzes the Lutheran exaggeration of the obvious limitations on human freedom. Thomas Hobbes (England, 1588–1679) theorized that government is the result of individual actions and human traits, and that it was motivated primarily by "interest", a term which would become crucial in the development of a liberal theory of government and political economy, since it is the foundation of the idea that individuals can be self-governing and self-regulating. 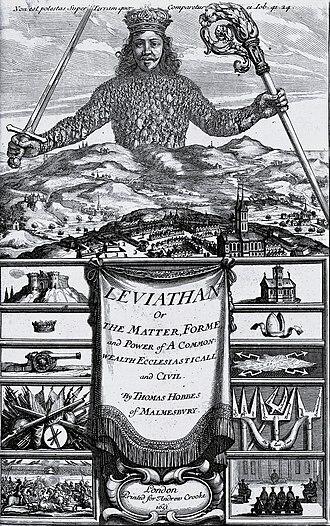 His work Leviathan, did not advocate this viewpoint, but instead that only a strong government could restrain unchecked interest: it did, however, advance a proto-liberal position in arguing for an inalienable "right of nature," the right to defend oneself, even against the state. 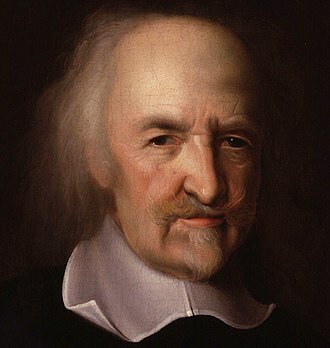 Though his own ideological position is open to debate, his work influenced Locke, Hamilton, Jefferson, Madison and many other liberals, leading Strauss to identify Hobbes as the "father of liberalism". Baruch Spinoza (Netherlands, 1632–1677) is in his Tractatus Theologico-Politicus and Tractatus Politicus a proto-liberal defending the value of separation of church and state as well as forms of democracy. In the first mentioned book, Spinoza expresses an early criticism of religious intolerance and a defense of secular government. Spinoza was a thoroughgoing determinist who held that absolutely everything that happens occurs through the operation of necessity. For him, even human behaviour is fully determined, freedom being our capacity to know we are determined and to understand why we act as we do. So freedom is not the possibility to say "no" to what happens to us but the possibility to say "yes" and fully understand why things should necessarily happen that way. 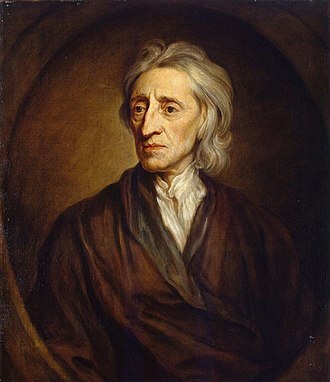 John Locke's (England, 1632–1704) notion that a "government with the consent of the governed" and man's natural rights—life, liberty, and estate (property) as well on tolerance, as laid down in A letter concerning toleration and Two treatises of government—had an enormous influence on the development of liberalism. Developed a theory of property resting on the actions of individuals, rather than on descent or nobility. 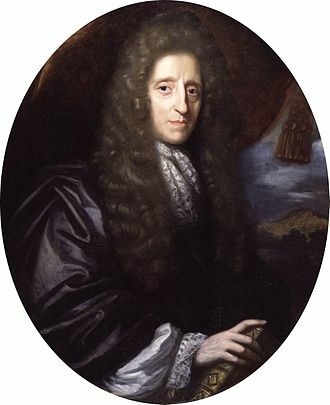 John Trenchard (United Kingdom, 1662–1723) was co-author, with Thomas Gordon of Cato's Letters. These newspaper essays condemned tyranny and advanced principles of freedom of conscience and freedom of speech and were a main vehicle for spreading the concepts that had been developed by John Locke. In The Spirit of the Laws, Montesquieu expounded the separation of powers in government and society. In government, Montesquieu encouraged division into the now standard legislative, judicial and executive branches; in society, he perceived a natural organization into king, the people and the aristocracy, with the latter playing a mediating role. "I do not write to censor that which is established in any country whatsoever," Montesquieu disclaimed in the Laws; however, he did pay special attention to what he felt was the positive example of the constitutional system in England, which in spite of its evolution toward a fusion of powers, had moderated the power of the monarch, and divided Parliament along class lines. Thomas Gordon (United Kingdom, 169?–1750) was co-author, with John Trenchard of Cato's Letters. 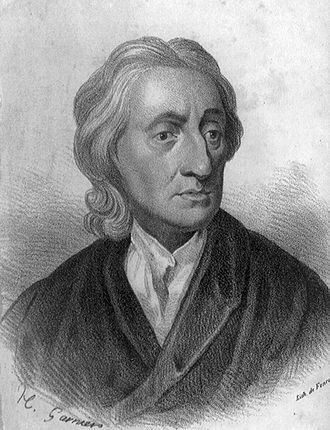 These newspaper essays condemned tyranny and advanced principles of freedom of conscience and freedom of speech and were a main vehicle for spreading the concepts that had been developed by John Locke. Anders Chydenius (Finland (then a part of the Swedish realm), 1729–1803) His book Den Nationale Winsten (engl. The National Gain) proposed roughly same the ideas as Adam Smith's Wealth of Nations, a decade earlier, including foundations of liberalism and capitalism and (roughly) the invisible hand. 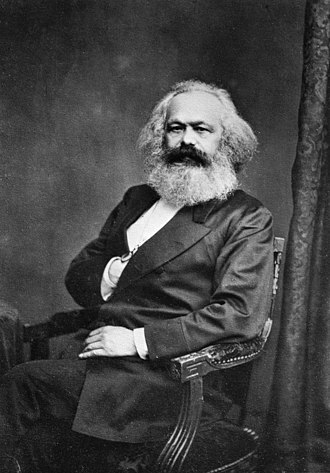 He demanded complete economic and individual freedom, including the freedom of religion (although he was a priest), worker's rights to freely move and choose their professions and employers, the freedom of speech and trade and abolitions of all privileges and price and wage controls. 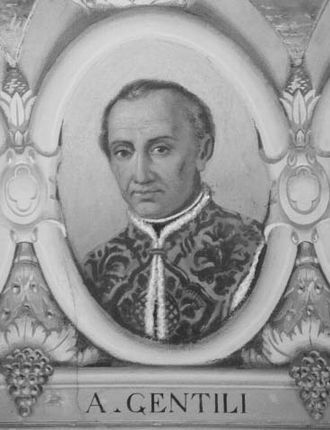 He was also a member of the Swedish four-estates parliament, elected three times as representative of the clergy in the northern and western parts of Finland. In his first parliamentary session, 1765–1766, he was very successful as a member of the subcommittee that wrote Sweden's famous Constitutional Law of the Freedom of Printing, Tryckfrihetsförordningen, of 1766. In this law Chydenius combined freedom of the press, and abolishment of the political censorship, with free access for the citizens to most government documents. 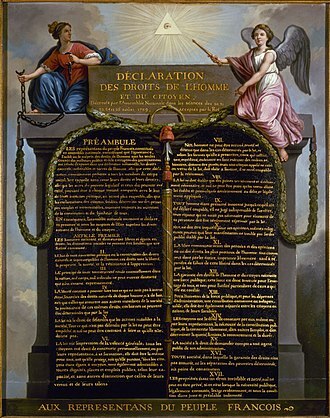 Chydenius liberal system, where transparency reinforces press freedom, and the right for everyone to print the public document reinforces transparency, has been a fundamental constitutional principle in Sweden ever since, except for the years of royal autocracy 1772–1809. Chydenius model for press freedom and freedom of information was reestablished and strengthened in the Swedish Constitution 1809. It is now the foundation of the present Tryckfrihetsförordningen of 1949, which is one of the fundamental laws of Sweden. In diluted form, and without the strong constitutional protection of the Swedish free press model, the principle of free access to public documents that originated in Chydenius law of 1766, has in recent decades been spread from Sweden to the Freedom of Information Acts of many countries. This way, Anders Chydenius, has become one of the older liberal thinkers that has most practical influence on politics and public administration of modern western societies. An edition of Anders Chydenius Complete Works, in Finnish, Swedish and English, is under preparation by the Chydenius Foundation in Finland. 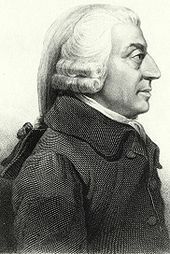 Adam Smith (Great Britain, 1723–1790), often considered the founder of modern economics, was a key figure in formulating and advancing economic doctrine of free trade and competition. In his Wealth of Nations Adam Smith outlined the key idea that if the economy is basically left to its own devices, limited and finite resources will be put to ultimately their most efficient use through people acting purely in their self-interest. This concept has been quoted out of context by later economists as the invisible hand of the market. Smith also advanced property rights and personal civil liberties, including stopping slavery, which today partly form the basic liberal ideology. He was also opposed to stock-holding companies, what today is called a "corporation", because he predicated the self-policing of the free market upon the free association of moral individuals. 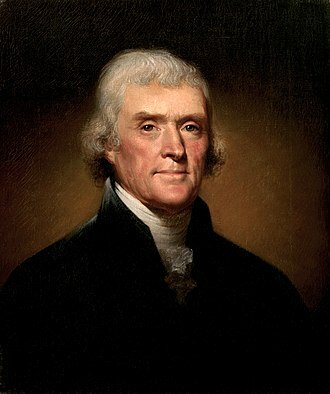 Thomas Jefferson (United States, 1743–1826) was the third President of the United States and author of the Declaration of Independence. He also wrote Notes on the State of Virginia and the Virginia Statute for Religious Freedom. He was a champion of inalienable individual rights and the separation of church and state. His ideas were repeated in many other liberal revolutions around the world, including the (early) French Revolution. Jeremy Bentham (United Kingdom, 1748–1832) An early advocate of utilitarianism, animal welfare and women's rights. He had many students all around the world, including John Stuart Mill and several political leaders. Bentham demanded economic and individual freedom, including the separation of the state and church, freedom of expression, completely equal rights for women, the end of slavery and colonialism, uniform democracy, the abolition of physical punishment, also on children, the right for divorce, free prices, free trade and no restrictions on interest. Bentham was not a libertarian: he supported inheritance tax, restrictions on monopoly power, pensions, health insurance and other social security, but called for prudence and careful consideration in any such governmental intervention. Emmanuel Joseph Sieyès '(France, 1748–1836) played an important role in the opening years of the French Revolution, drafting the Declaration of the Rights of Man and Citizen, expanding on the theory of national sovereignty, popular sovereignty, and representation implied in his pamphlet What is the Third Estate?. Claude Frédéric Bastiat was a French classical liberal theorist, political economist, and member of the French assembly. He was notable for developing the important economic concept of opportunity cost. Rifa'a al-Tahtawi (also spelt Tahtawy) was an Egyptian writer, teacher, translator, Egyptologist, renaissance intellectual and one of the early adapters to Islamic Modernism. In 1831, Tahtawi was part of the statewide effort to modernize the Egyptian infrastructure and education. Three of his published volumes were works of political and moral philosophy. 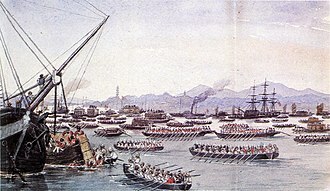 They introduced his Egyptian audience to Enlightenment ideas such as secular authority and political rights and liberty; his ideas regarding how a modern civilized society ought to be and what constituted by extension a civilized or "good Egyptian"; and his ideas on public interest and public good. Tahtawi's work was the first effort in what became an Egyptian renaissance (nahda) that flourished in the years between 1860–1940. 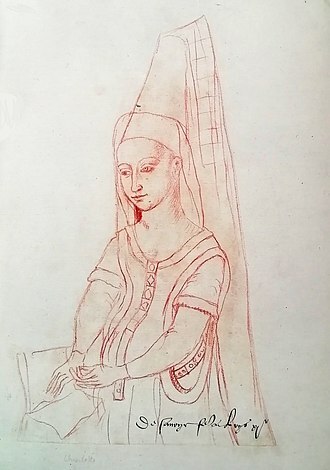 A Paris Profile, written during Tahtawi's stay in France. The methodology of Egyptians minds with regard to the marvels of modern literature, published in 1869 crystallizing Tahtawi's opinions on modernization. The honest guide for education of girls and boys, published in 1873 and reflecting the main precepts of Tahtawi's educational thoughts. Tawfik al-Galil insights into Egypt's and Ismail descendants' history, the first part of the History Encyclopedia published in 1868 and tracing the history of ancient Egypt till the dawn of Islam. A thorough summary of the biography of Mohammed published after Tahtawi's death, recording a comprehensive account of the life of Prophet Mohammed and the political, legal and administrative foundations of the first Islamic state. Towards a simpler Arabic grammar, published in 1869. Grammatical sentences, published in 1863. Egyptian patriotic lyrics, written in praise of Khedive Said and published in 1855. The luminous stars in the moonlit nights of al-Aziz, a collection of congratulatory writings to some princes, published in 1872. 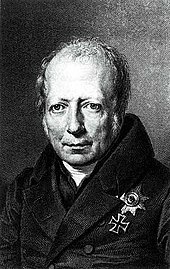 The Dutch statesman Johan Rudolf Thorbecke (Netherlands, 1798–1872) was the main theorist of Dutch liberalism in the nineteenth century, outlining a more democratic alternative to the absolute monarchy, the constitutional monarchy. The constitution of 1848 was mainly his work. His main theoretical article specifically labeled as 'liberal' was 'Over het hedendaagsche staatsburgerschap' (On Modern Citizenship) from 1844. 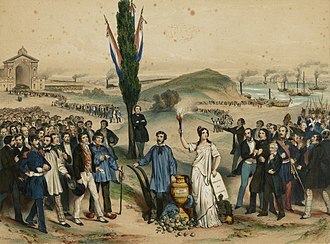 He became prime minister in 1849, thus starting numerous fundamental reforms in Dutch politics. Ralph Waldo Emerson (United States, 1803–1882) was an American philosopher who argued that the basic principles of government were mutable, and that government is required only insofar as people are not self-governing. Proponent of Democracy, and of the idea that a democratic people must have a democratic ethics. 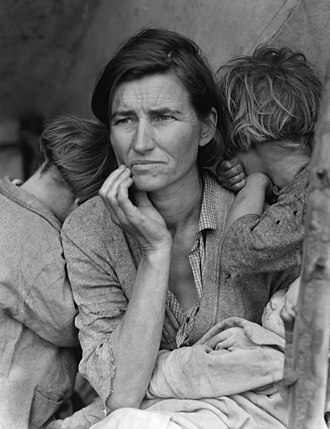 For the development of American liberalism after World War II see American liberal theory. American liberal theorists who also had influence on liberalism outside the United States are included in this section. John Stuart Mill (United Kingdom, 1806–1873) is one of the first champions of modern "liberalism." As such, his work on political economy and logic helped lay the foundation for advancements in empirical science and public policy based on verifiable improvements. 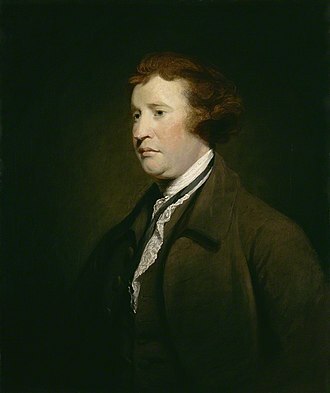 Strongly influenced by Bentham's utilitarianism, he disagrees with Kant's intuitive notion of right and formulates the "highest normative principle" of morals as: Actions are right in proportion as they tend to promote happiness; wrong as they tend to produce the reverse of happiness. Some consider Mill as the founder of Social liberalism. Although Mill was mainly for free markets, he accepted interventions in the economy, such as a tax on alcohol, if there were sufficient utilitarian grounds. Mill was also a champion of women's rights. Herbert Spencer (United Kingdom, 1820–1903), philosopher, psychologist, and sociologist, advanced what he called the "Law of equal liberty" and argued against liberal theory promoting more activist government, which he dubbed "a new form of Toryism." 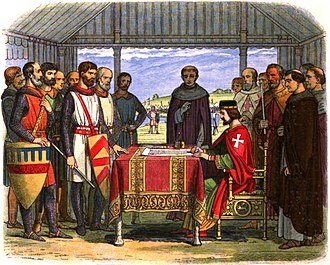 He supported a state limited in its duties to the defense of persons and their property. For Spencer, voluntary cooperation was the hallmark of the most vibrant form of society, accommodating the widest diversity of members and the greatest diversity of goals. Spencer's evolutionary approach has been characterized as an extension of Adam Smith's "invisible hand" explanation of economic order; his extensive work on sympathy (in psychology as well as the foundation of ethics, particularly in The Data of Ethics) explicitly carried on Smith's approach in The Theory of Moral Sentiments. Spencer is frequently characterized as a leading Social Darwinist. İbrahim Şinasi (Ottoman Empire, 1826–1871), author, journalist, translator, and newspaper editor. He was the innovator of several fields: he wrote one of the earliest examples of an Ottoman play, he encouraged the trend of translating poetry from French into Turkish, he simplified the script used for writing the Ottoman Turkish language, and he was one of the first of the Ottoman writers to write specifically for the broader public. Şinasi used his newspapers, Tercüman-ı Ahvâl and Tasvir-i Efkâr, to promote the proliferation of European Enlightenment ideals during the Tanzimat period, and he made the education of the literate Ottoman public his personal vocation. Though many of Şinasi's projects were incomplete at the time of his death, "he was at the forefront of a number of fields and put his stamp on the development of each field so long as it contained unsolved problems." Şinasi, influenced by Enlightenment thought, saw freedom of expression as a fundamental right and used journalism in order to engage, communicate with, and educate the public. By speaking directly to the public about government affairs, Şinasi declared that state actions were not solely the interest of the government. Lester Frank Ward (United States, 1841–1913) Lester Ward was a botanist, paleontologist, and sociologist. He served as the first president of the American Sociological Association. Ward was a fierce and unrelenting critic of the laissez-faire policies advocated by Herbert Spencer and William Graham Sumner. (1883) Dynamic Sociology: Or Applied social science as based upon statical sociology and the less complex sciences. (1893) The Psychic Factors of Civilization, 1893. (1903) Pure Sociology. A Treatise on the Origin and Spontaneous Development of Society. (1906) Applied Sociology. A Treatise on the Conscious Improvement of Society by Society. Oliver Wendell Holmes Jr. (United States, 1841–1935) was a jurist and writer. He wrote the influential book on legal theory The Common Law, which traced the creation of individual rights from familial rights common under Roman and Feudal law, and presented the "objective" theory of judicial interpretation. Specifically that the standard for intent and culpability should be that of the "reasonable man", and that individuals can be said to objectively intend the reasonable consequences of their actions. Thorstein Veblen (1857–1926) is best known as the author of Theory of the Leisure Class. Veblen was influential to a generation of American liberalism searching for a rational basis for the economy beyond corporate consolidation and "cut throat competition". Veblen's central argument was that individuals require sufficient non-economic time to become educated citizens. He caustically attacked pure material consumption for its own sake, and the idea that utility equalled conspicuous consumption. Max Weber (Germany, 1864–1920) was a theorist of state power and the relationship of culture to economics. Argued that there was a moral component to capitalism rooted in "Protestant" values. Weber was along with Friedrich Naumann active in the National Social Union and later in the German Democratic Party. Leo Chiozza Money (Britain, 1870–1944) An Italian-born economic theorist who moved to Britain in the 1890s, where he made his name as a politician, journalist and author. In the early years of the 20th century his views attracted the interest of two future Prime Ministers, David Lloyd George and Winston Churchill. After a spell as Lloyd George's parliamentary private secretary, he was a Government minister in the latter stages of the First World War. Ahmed Lutfi el-Sayed Pasha (Egypt, 1872–1963) An Egyptian intellectual, anti-colonial activist and the first director of Cairo University. He was an influential person in the Egyptian nationalist movement and used his position in the media to strive and gain an independent Egypt from British rule. He was also one of the architects of modern Egyptian nationalism as well as the architect of Egyptian secularism and liberalism. He was fondly known as the "Professor of the Generation". Lutfi was one of the fiercest opponents of pan-Arabism, insisting that Egyptians are Egyptians and not Arabs. He is considered one of the most influential scholars and intellectuals in the history of Egypt. Salvador de Madariaga (Spain, 1886–1978). One of the principal authors of the Oxford Manifesto in 1947. Adolf Berle (United States, 1895–1971) was author of The Modern Corporation and Private Property, detailing the importance of differentiating between the management of corporations and the share holders who are the owners. Influential in the theory of New Deal policy. Friedrich Hayek (Austria/United Kingdom/United States/Germany, 1899–1992) In Hayek's view, the central role of the state should be to maintain the rule of law, with as little arbitrary intervention as possible. Also a Nobel Prize winner in economics and predicter of the Great Depression like fellow Austrian School economist and mentor Ludwig von Mises. Karl Raimund Popper (Austria/United Kingdom, 1902–1994) developed the idea of the open society, characterized by respect for a wide variety of opinions and behaviors and a preference for audacious but piecemeal political reform over either conservative stasis or revolutionary utopianism. In his view, all simplistic and grandiose theories of history and society shared a common feature he called historicism, which he traces back to Plato, while the open society mirrors the methodological fallibilism pioneered by Popper in his earlier works on philosophy of science. Alan Paton (South Africa, 1903–1988) contributed with his book Cry, The beloved country to a clear anti-apartheid stand of South African liberalism. His party, the Liberal Party of South Africa was banned by the apartheid government. Ayn Rand (United States, 1905-1982) was a radical and influential moral and political philosopher. 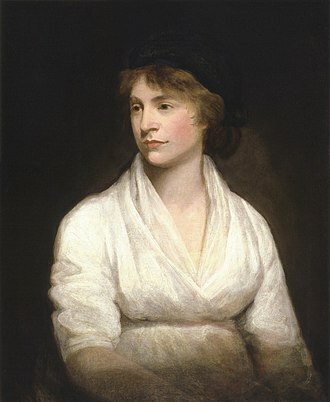 Her advocacy of strong self-interest in ethics was influenced by the liberal thinkers Aristotle, Aquinas, and Locke. 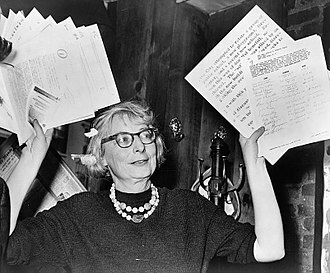 Her advocacy of pure laissez-faire capitalism was influenced by the classical liberal economists Mises and Hayek. Donald Barkly Molteno (South Africa, 1908–1972), known as Dilizintaba ("He who removes mountains"), was a constitutional lawyer and a parliamentarian but above all, an academic. His work on constitutional law centred on civil rights and his fierce opposition to the segregationalist policies of Apartheid. Isaiah Berlin (Latvia/United Kingdom, 1909–1997) is most famous for his attempt to distinguish 'two conceptions of liberty'. Berlin argued that what he called 'positive' and 'negative' liberty were mutually opposing concepts. Positive conceptions assumed that liberty could only be achieved when collective power (in the form of church or state) acted to 'liberate' mankind from its worst aspects. These, Berlin felt, tended towards totalitarianism. Negative conceptions, by contrast, argued that liberty was achieved when individuals were given maximal freedom from external constraints (so long as these did not impinge on the freedom of others to achieve the same condition). Berlin was also a critic of dogmatic Enlightenment rationalism on the grounds that it was unable to accommodate value pluralism. Milton Friedman (United States, 1912–2006), winner of a Nobel Prize in Economics and a self-identified Classical Liberal and libertarian, was known for the Friedman rule, Friedman's k-percent rule, and the Friedman test. James Buchanan (United States, 1919–2013) is known for his economic theories of the political process, which were among the first to take seriously the concept of politicians as rational actors that respond to incentives. John Rawls (United States, 1921–2002) is widely considered one of the most important English-language political philosophers of the 20th century. There is general agreement that the publication of his landmark work, A Theory of Justice, led to a revival in the academic study of political philosophy. The importance of this book in contemporary liberal thought and social contract theory is perhaps best described by an early libertarian rival and critic, Robert Nozick, who called it a "work in political and moral philosophy that has not seen its equal since the writings of John Stuart Mill, if then.... Political philosophers must now work within Rawls' theory or explain why not." (Nozick, Anarchy, State, and Utopia, p. 183) Some of Rawls's contributions include the ideas of Justice as Fairness, the original position, reflective equilibrium, overlapping consensus, public reason, and the veil of ignorance. 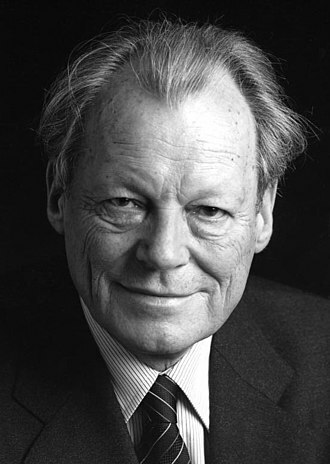 Rawls has the distinction among contemporary political philosophers of being frequently cited by the courts of law in the United States and referred to by practicing politicians in the United Kingdom. Murray Rothbard (United States, 1926–1995) was the originator of modern anarcho-capitalism and an economist and economic historian of the Austrian school. He is widely considered one of the foremost advocates of liberty and freedom in the late 20th century. He was involved with various political movements throughout his life, notably with Ayn Rand and, later, the Libertarian Party of United States. His influence is lasting in the libertarian and anarcho-capitalist movements. The journalist Karl-Hermann Flach (Germany, 1929–1973) was in his book Noch eine Chance für die Liberalen one of the main theorist of the new social liberal principles of the Free Democratic Party (Germany). He places liberalism clearly as the opposite of conservatism and opened the road for a government coalition with the social democrats. Richard Rorty (United States, 1931–2007) was one of the leading contemporary philosophers of liberalism. 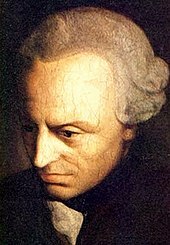 His fundamental claims, among others, are that liberalism is best defined as the attempt to avoid cruelty to others; that liberals need to accept the historical 'irony' that there is no metaphysical justification for their belief that not being cruel is a virtue; that literature plays a crucial role in developing the empathy necessary to promote solidarity (and therefore lack of cruelty) between humans; and that private philosophising and public political discourse are separate practices and should remain so. Amartya Sen (India, 1933– ) is an economist whose early work was based on Kenneth Arrow's General Possibility Theorem, and on the impossibility of both complete pareto optimality and solely procedural based rights. Won the Nobel Memorial Prize in Economic Sciences for his work on famine, welfare economics and social choice theory. 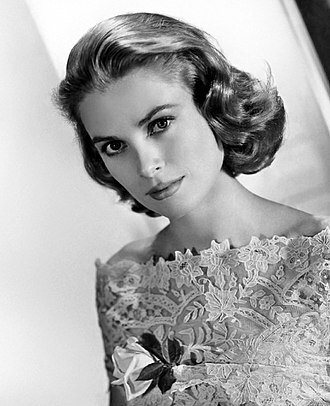 Advocate of rationality as the fundamental safe guard of freedom and justice. Robert Nozick (United States, 1938–2002) was a libertarian (or minarchist). He advocated an unapologetically reductionist political philosophy characterized by meticulous analysis of the moral aspects of each social interaction, and did not shy away from addressing hard philosophical issues such as the original appropriation of property. Nozick is best known for providing the justification of a minimal state by showing that it can be established without any unjust steps. The economist Hernando de Soto (Peru, 1941– ) is an advocate of transparency and private property rights, arguing that intransparent government leads to property not being given proper title, and therefore being "dead capital" which cannot be used as the basis of credit. Argues that laws which allocate property to those most able to use them for economic growth, so called "squatter's rights", are an important innovation. The Mystery of Capital, 2000. Will Kymlicka (Canada, 1962– ) tries in his philosophy to determine if forms of ethnic or minority nationalism are compatible with liberal-democratic principles of individual freedom, social equality and political democracy. In his book Multicultural Citizenship. A Liberal Theory of Minority Rights he argues that certain "group-differentiated rights" of minority cultures can be consistent with these liberal-democratic principles. ^ "Niccolo Machiavelli | Biography, Books, Philosophy, & Facts". Encyclopedia Britannica. Retrieved 2019-02-19. ^ "Discourses on Livy: Book 1". www.constitution.org. Retrieved 2019-02-19. ^ "Discourses on Livy: Book 3". www.constitution.org. Retrieved 2019-02-19. ^ Bronowski, J and Mazlish, Bruce, The Western Intellectual Tradition, pp. 264–79, especially 273–76. ^ Galles, Gary M. "Remembering Humboldt’s Wisdom", Foundation for Economic Education, June 22, 2017. ^ "İbrahim Şinasi." Biyografi. N.p., 2011. Web. 15 Dec 2013. <http://www.biyografi.info/kisi/ibrahim-sinasi>. ^ Nergis Ertürk, Grammatology and Literary Modernity in Turkey. Oxford, UK: Oxford UP, 2011. Print. ^ M. Sükrü Hanioglu, A Brief History of the Late Ottoman Empire, (Princeton University Press, 2008), 100. Liberal socialism is a socialist political philosophy that includes liberal principles within it. Although liberal socialism unequivocally favors a mixed economy, it identifies legalistic and artificial monopolies to be the fault of capitalism. It considers both liberty and equality to be compatible and mutually dependent on each other, Principles that can be described as liberal socialist are based on the works of philosophers such as Mill, Dewey, Bobbio and Polanyi. Other important liberal socialist figures include Calogero, Hobhouse, liberal socialism has been particularly prominent in British and Italian politics. 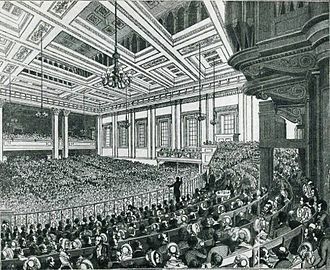 Liberal socialists seminal ideas can be traced to John Stuart Mill, Mill theorised that capitalist societies should experience a gradual process of socialisation through work-controlled enterprises, coexisting with private enterprises. The main liberal English thinker John Stuart Mills early economic philosophy was one of free markets, however, he accepted interventions in the economy, such as a tax on alcohol, if there were sufficient utilitarian grounds. He accepted the principle of intervention for the purpose of animal welfare. Mill originally believed that equality of taxation meant equality of sacrifice, given an equal tax rate regardless of income, Mill agreed that inheritance should be taxed. A utilitarian society would agree that everyone should be one way or another. Therefore, receiving inheritance would put one ahead of society unless taxed on the inheritance and those who donate should consider and choose carefully where their money goes—some charities are more deserving than others. Considering public charities boards such as a government will disburse the money equally, however, a private charity board like a church would disburse the monies fairly to those who are in more need than others. Later he altered his views toward a more socialist bent, adding chapters to his Principles of Political Economy in defence of a socialist outlook, within this revised work he made the radical proposal that the whole wage system be abolished in favour of a co-operative wage system. 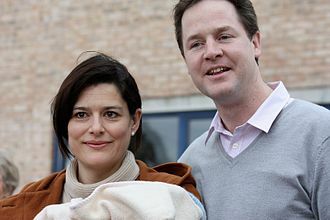 Muscular liberalism is a form of liberalism advocated by British Prime Minister David Cameron that describes his policy towards state multiculturalism. 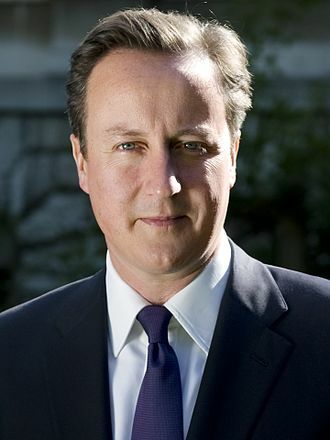 Cameron coined the term in a speech in Munich on 5 February 2011, according to David Cameron, Under the doctrine of state multiculturalism, we have encouraged different cultures to live separate lives, apart from each other and apart from the mainstream. Weve failed to provide a vision of society to which they feel they want to belong, the theory is that multiculturalism has shifted from tolerating multiple cultures to tolerating multiple value systems, which can be hostile to liberalism. Ban preachers of hate from coming to the host country, strictly prevent the allocation of public money and donations to groups not being used to tackle extremists. Barring organisations that incite terrorism at host country and abroad, judging the religious organisations acceptability to operate in host country based on universal human rights, support for democracy and encourage integration with host country basic values.